infomm radio station is the radio station of the Informatics and Mass Media Department, of the TEI of Western Greece in Pyrgos. The station came to life in 2007, when Romina Papalambrou, a young student undertook the challenge to breathe life (and electricity) to a pile of hardware equipment, lying in some boxes. It was all part of her degree assignement and she managed to put together a radio broadcast console, a pair of studio microphones, a PC running a streaming server, numerous of tangled wires kindly offered by Nikolaos Papatheodoulou, and the Nirvana "Nevermind" album that was the first tune to air from the station. Needless to say, no proper studio was there at that time, just a plain empty room, with reverberation time > 3sec!!!! During 2010-2013 the infomm radio station got its proper form. An area in the Department was chosen to host the station and a control and a studio room were build. The reverberation was controlled using sound absorbers on the walls and both broadcast radio consoles were put into use, one to air the station's program, the other to satisfy our producers to be, in order to record and prepare their offline shows. The station is a fully equipped radio broadcast station with a control room and a studio room, with fully controlled and carefully designed acoustic response. The station's program is coming from an AIRLAB MK2 console, monitored by a pair of MS40 M-AUDIO Monitor Speakers. 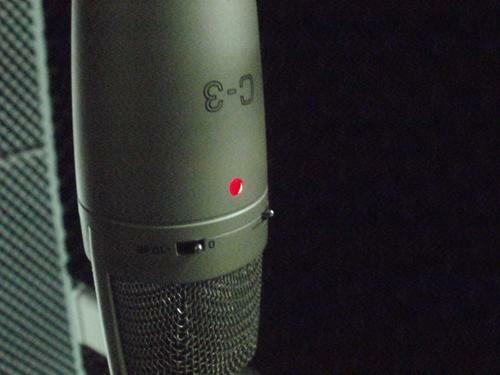 Speech is acquired from several BEHRINGER C-3 STUDIO Microphones, and sound is reaching the ears of the producers and the sound engineer through K141 MKII AKG headphones. In the studio room, producers prepare their offline program on a SOUNDCRAFT RM1ds console, monitored by a pair of BX5-a M-AUDIO monitor speakers. A number of PCs are used to air the program, host the radio automation software and surf the internet. The radio program is broadcasted to the internet using the soundcheap streaming server and it is also part of the SHOUTCast Directory and listed in TuneIn.